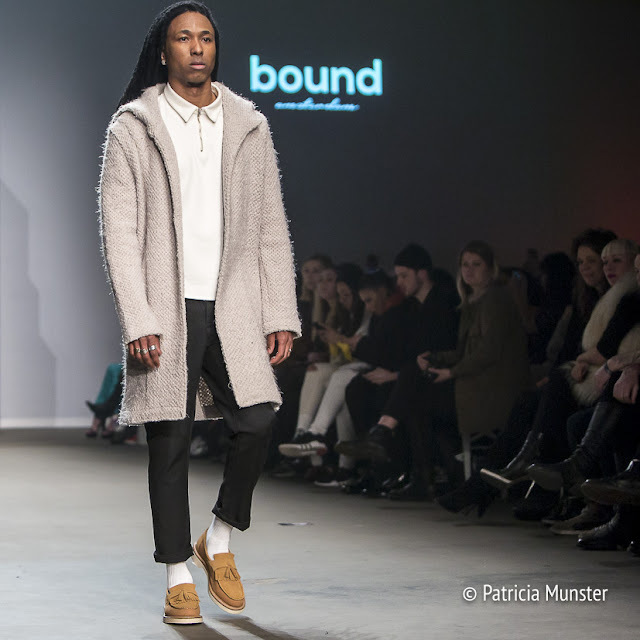 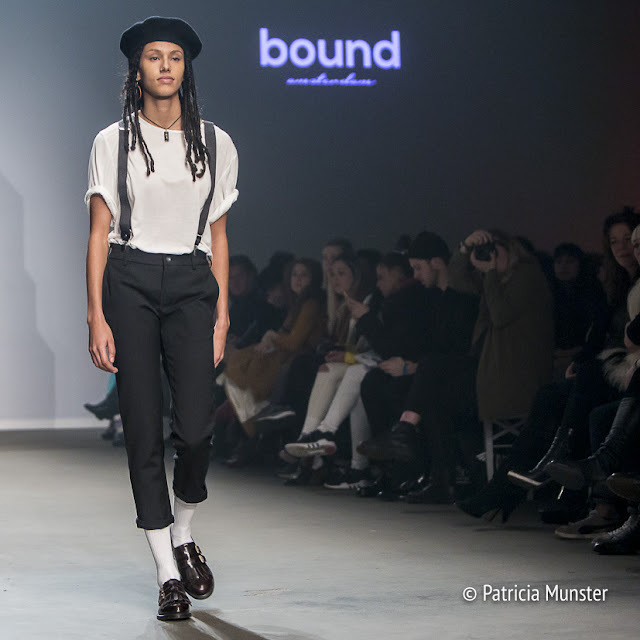 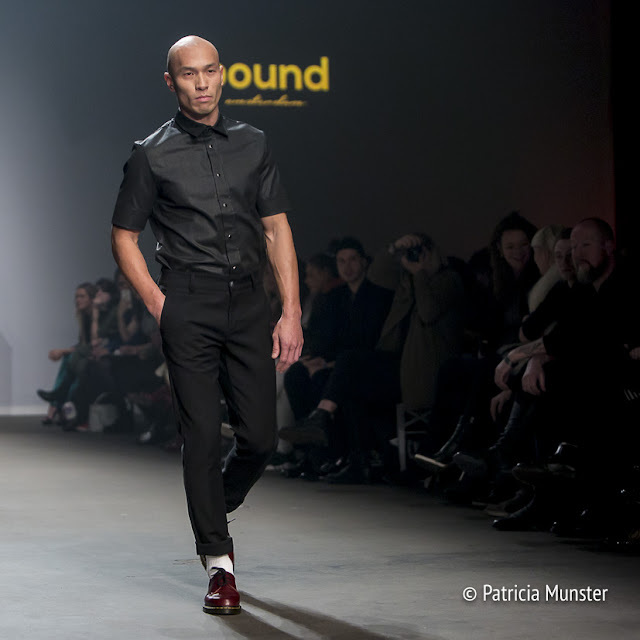 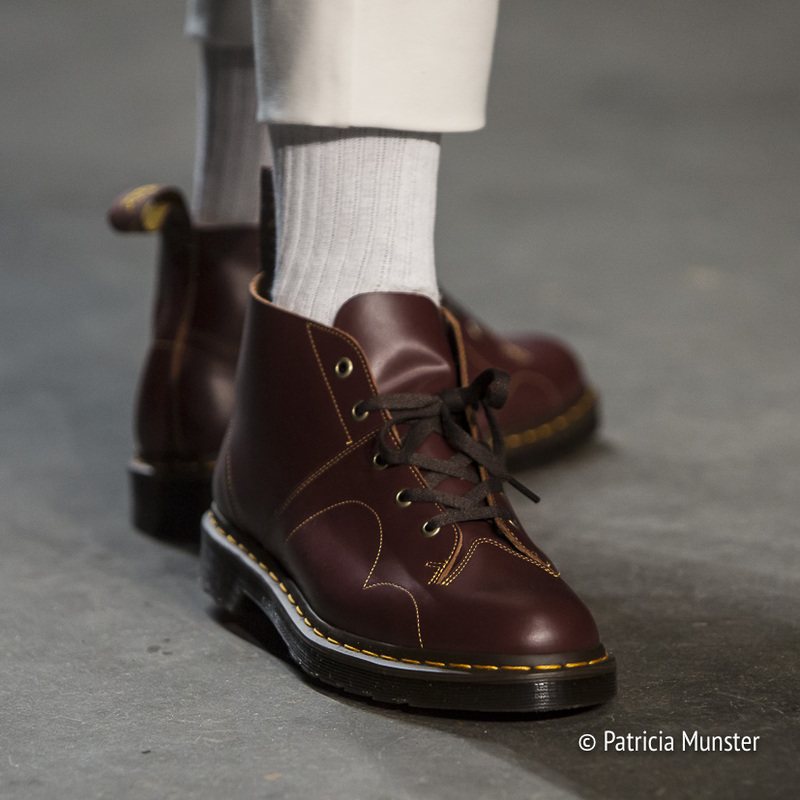 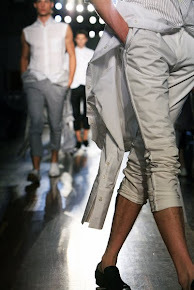 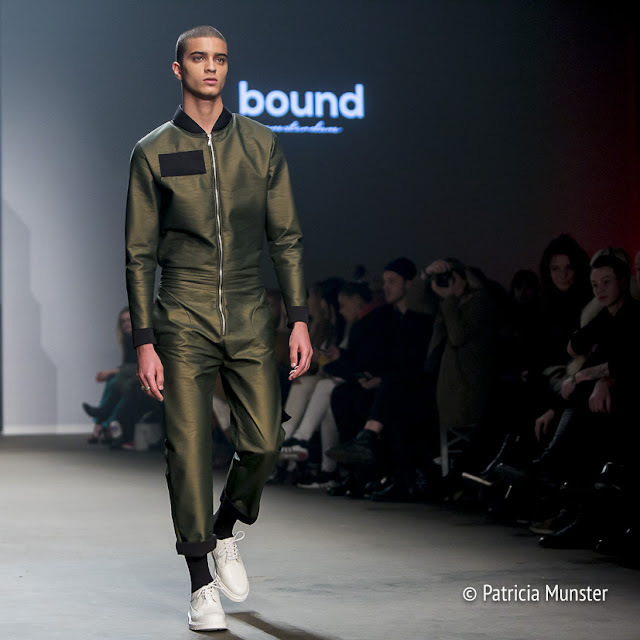 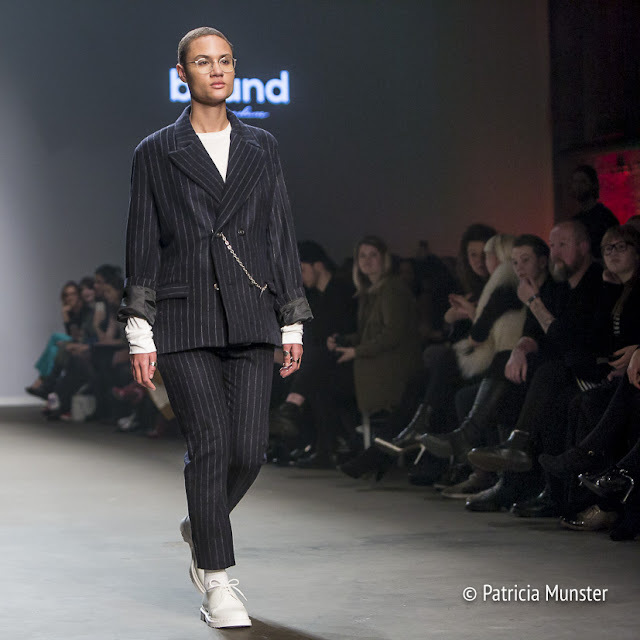 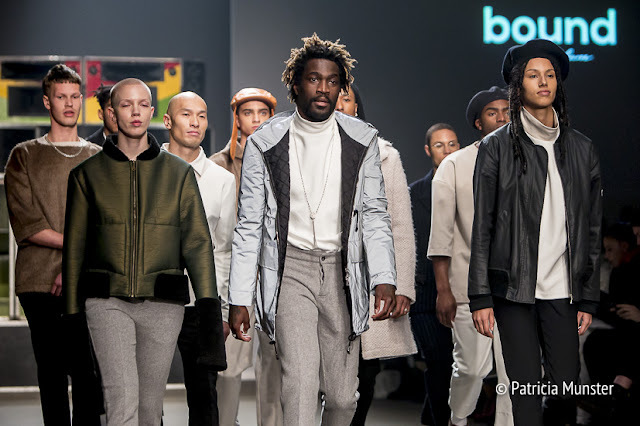 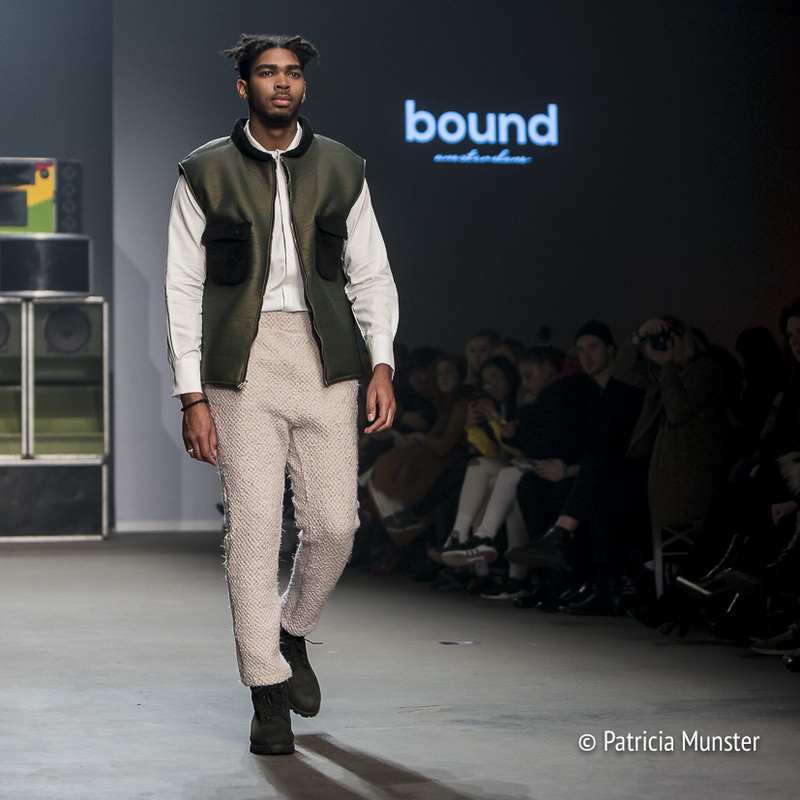 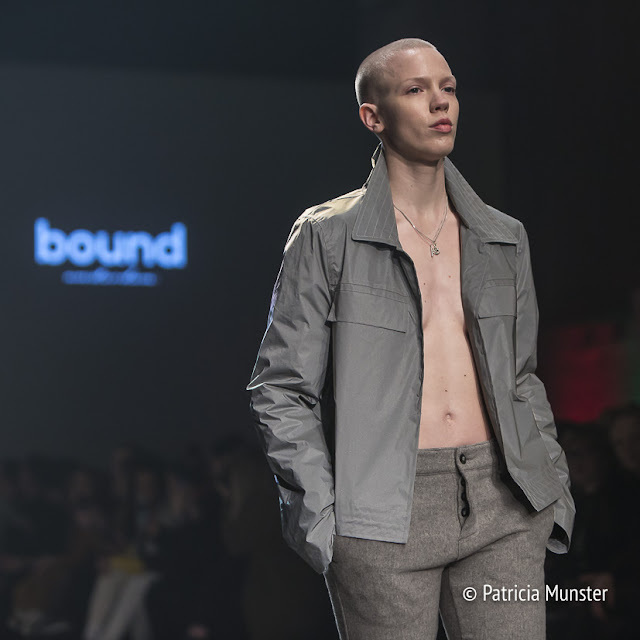 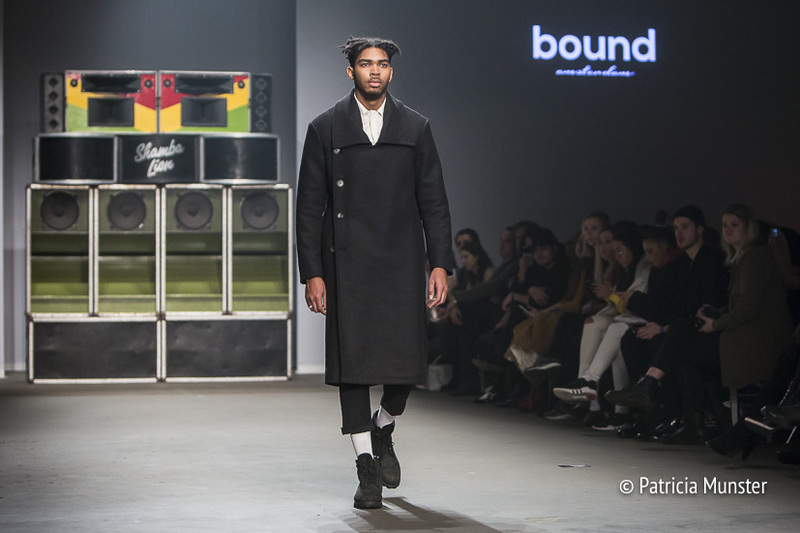 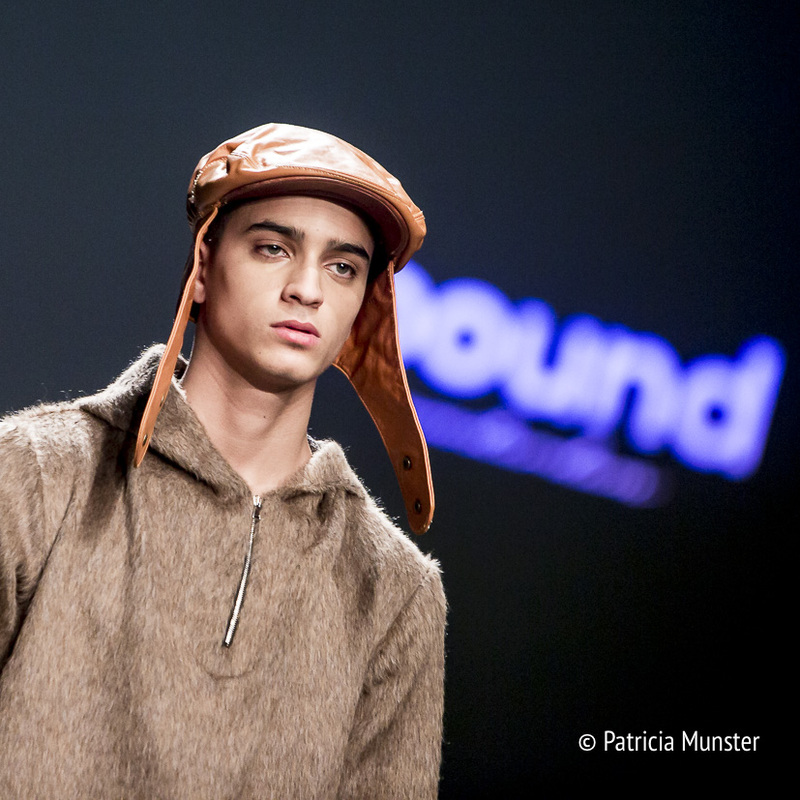 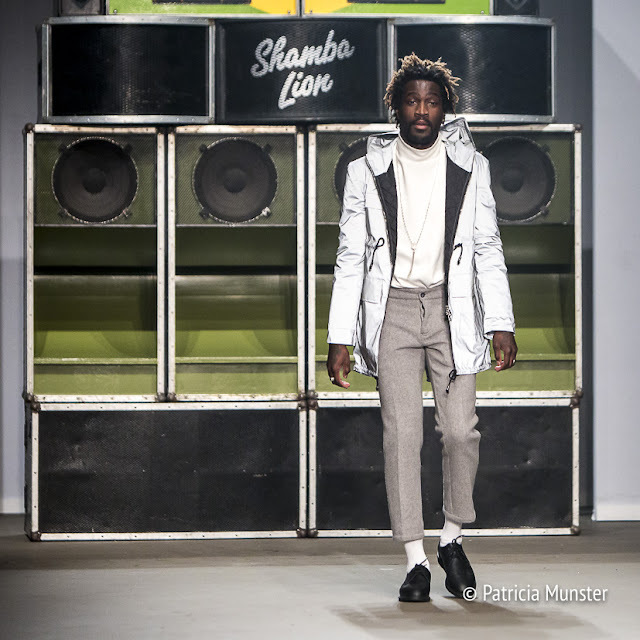 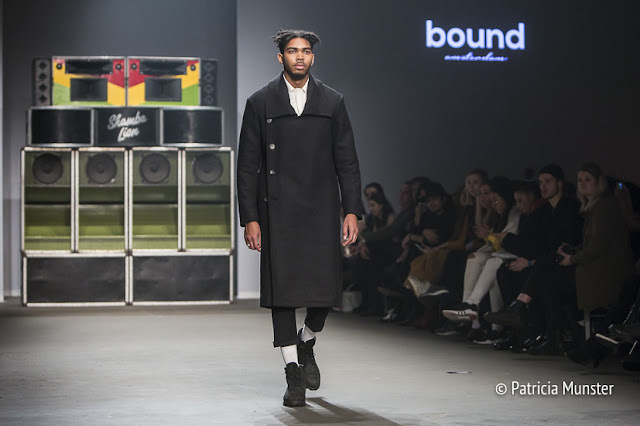 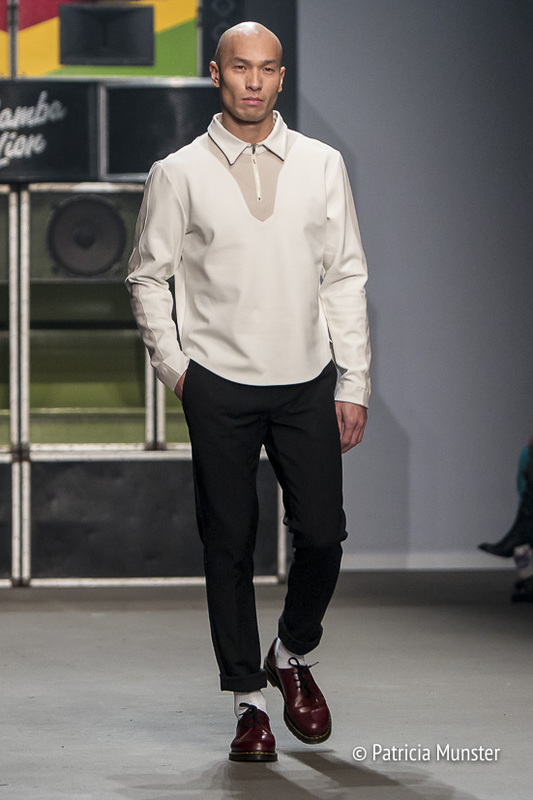 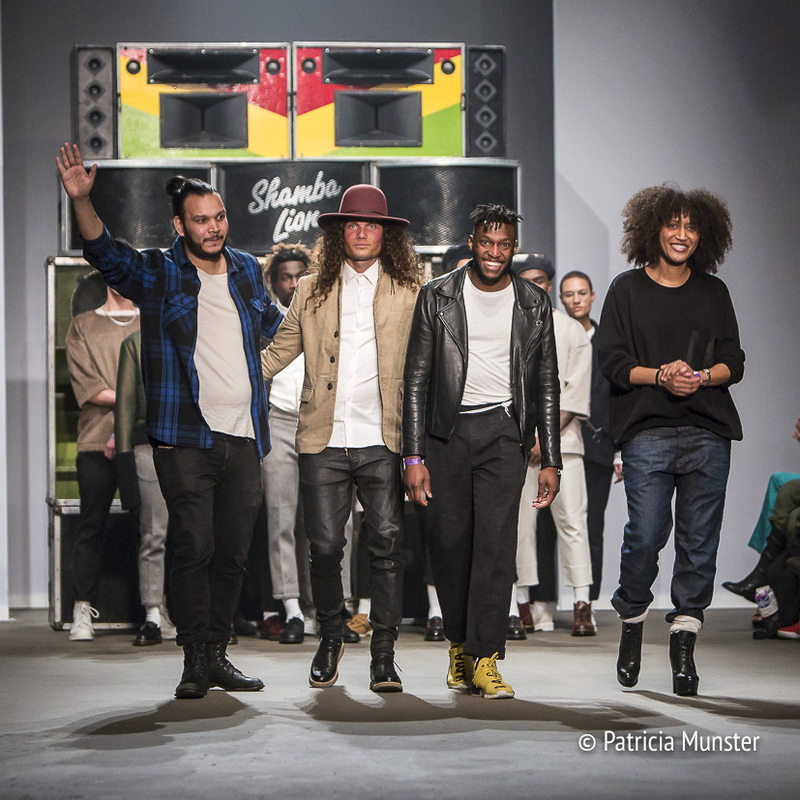 Bound Amsterdam presented their menswear collection during the 26th Mercedes-Benz Fashion Week Amsterdam. Inspired by Jamaican street culture in the 60's, the Rude Boys stood model for the fall-winter 2017-2018 collection by the designer duo. 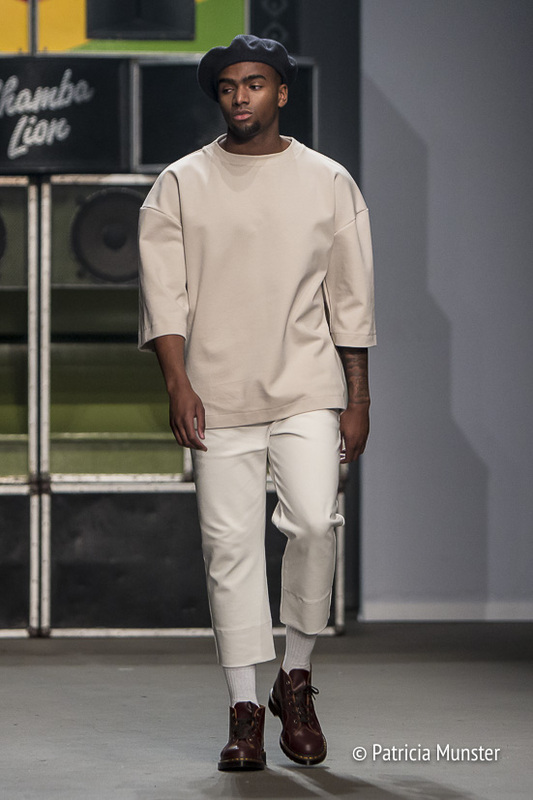 Sheila Lopes and Maras Rejaan used neutral colour palettes and subtle textures. 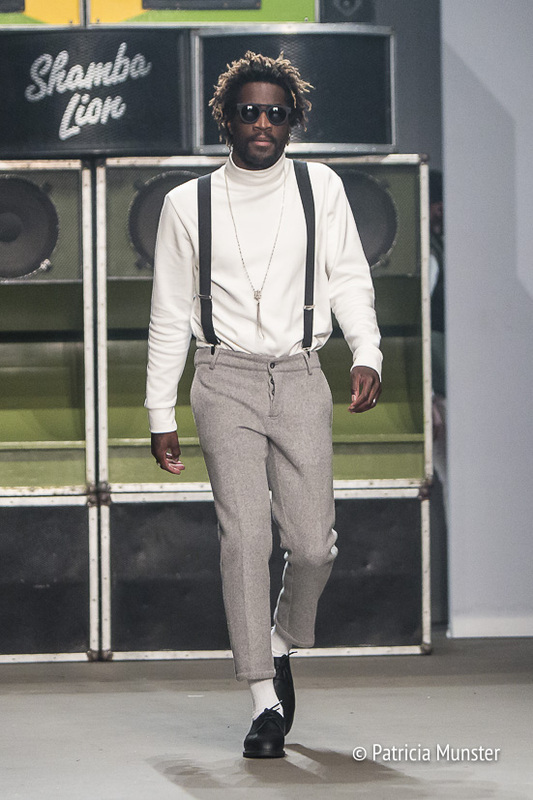 High waist trousers, jackets, bombers, coats, shirts and comfortable pullovers. Although Bound Amsterdam claims it is a menswear collection, the designs looked also great on the female models the designers sent on the catwalk.